This door is for a large job at Moana in South Australia. 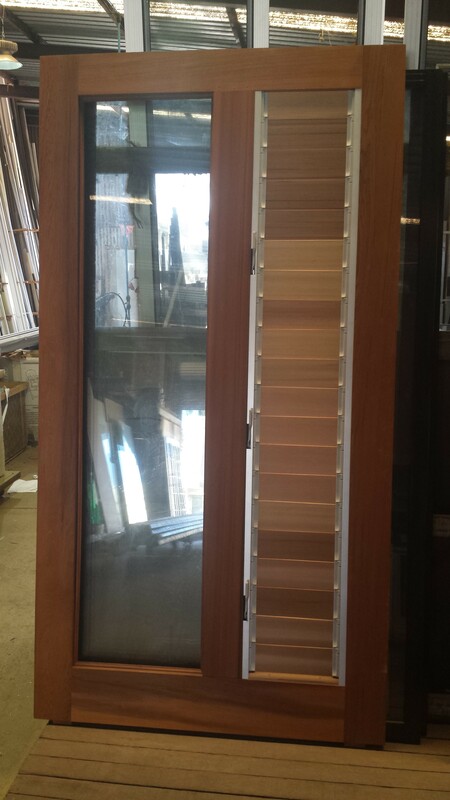 This Pivot door has a fixed pane of 6.38 clear laminate glass (grade A safety glass) and then timber louvre blades. Western Red Cedar Pivot door with timber louvres panes. Ready to be installed!